Talk PR has been chosen by music and video app developer Algoriddim to drive downloads of new versions of its Djay and Vjay apps in the UK. The agency has been briefed to engage influencers in the DJ community to drive advocacy off- and online for the DJ apps, as well as start activity for further products to be released later in the year. Talk PR’s head of technology, innovation and play division Jane Leah said: ‘Djay and Vjay are two of the best-designed apps in the App Store and have already attracted praise from users, bloggers and even Apple itself. 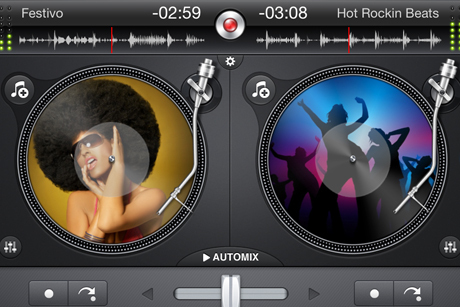 The Mac, iPhone and iPad apps connect directly with users iTunes library and function as a full DJ system. The Djay app won the Apple Design Award for iPad last year.